The combative and articulate Frank L. Dyer had an immense influence on the structure of the emerging American film industry. A patent lawyer who also became Thomas Edison's personal lawyer, he and his partner W.H. Seeley engaged in protracted negotiation and argumentation with the U.S. Patent Office beginning in 1891 and lasting until 1897 over the wording of Edison's first three motion picture patents which ultimately resulted in establishing very broad claims that gave the Edison organization the legal grounds to pursue competitors in the new medium, a policy which the company pursued energetically. Moving physically to the Edison Manufacturing Company in 1903, from where he commanded both an in-house patents staff and the services of corresponding lawyers in cities across the country, Dyer later replaced William E. Gilmore as Vice-President and general manager for Edison in June 1908 and was a leading organizer in December that same year of the Motion Picture Patents Company. 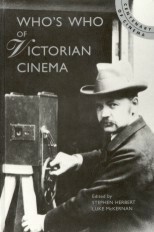 As its first President he attempted to rationalise and monopolise the film business and was President of the parallel distribution combine the General Film Company 1912-1914. For Edison, Dyer greatly expanded film production in Summer 1908 to increase the company's market share; personally screened and approved all film releases; and reorganized the film department again in January 1909 introducing a director/unit system. 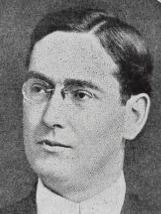 He may have been the first American film executive to replace an experienced filmmaker with a sales-oriented employee when he demoted Edwin S. Porter as a manager of film production in February 1909 and replaced him first with salesman John Pelzer and then with carpet dealer Horace G. Plimpton. In October 1914 he formed the Dyreda Art Film Corporation with J. Parker Read, Jr., and J. Searle Dawley but the company lasted only a year before being sold to a division of Metro Pictures.